ITPIXEL Review 2019: Is ITPIXEL a Good Hosting? Pakistan based ITPIXEL is one of the cheapest hosting companies that offers both Linux and Windows based hosting accounts to its users. Additionally, it offers e-commerce services, web-designing, and network services. Pakistan based IT PIXEL is an Offshore Development Center and offers various types of IT solutions. Even though the company is based in Pakistan, it has offices in the U.K. and U.S. as well. This is also how they have managed to acquire an international customer base offering their services all over the world. ITPIXEL showcases all its services in detail on its homepage but here is a summary of the kind of features you can expect when hosting your websites with them. In addition to the usual website hosting services, ITPIXEL also offers a dedicated e-commerce solution. It comes at an affordable cost and includes features like unlimited products, multiple categories, multiple payment methods, easy management of orders, shipment tracking, SEO module, and much more. As with the website hosting, the exact pricing isn’t mentioned on their website so you will need to get in touch with them to find out more. To ensure a secure user experience for your website’s visitors, they offer premium SSL certificates. By showing the Comodo secure seal on your website, your credibility is vastly improved meaning that users won’t hesitate to share their data on your website. The enhanced security also helps in a better Google ranking, helping in turn with attracting more and more visitors. The SSL certificates come with a 30-day money back guarantee. 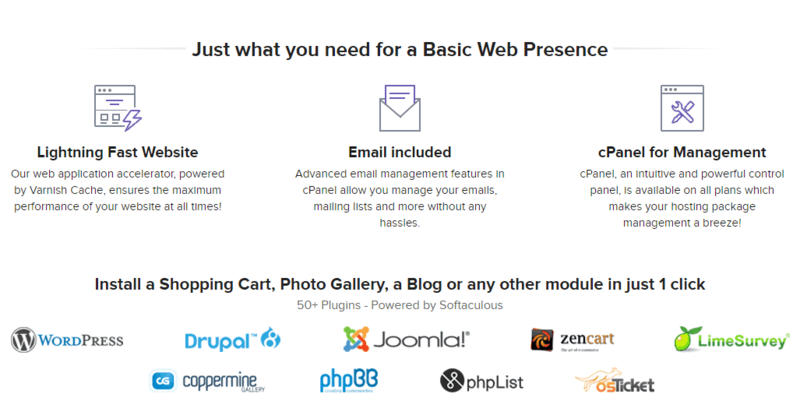 Another useful feature for small businesses is the email hosting service offered by ITPIXEL. You get a separate control panel to manage your email hosting account with features like SMTP/POP3/IMAP as well as web-based access to your email. The web-based client allows you to use calendars, tasks, message templates, and online address book among other things. A live demo of their webmail can be viewed from their website. It is worth noting that all their hosting packages include unlimited email hosting. They only list a single package on their website but judging from the information available on other areas of their website, they do offer custom packages for anyone with larger requirements. 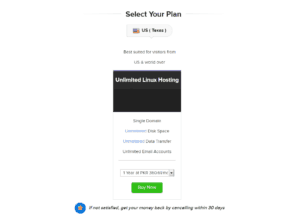 The starting price for their hosting is quite reasonable and at par with the competition, allowing you to use unlimited domains and email accounts with support for PHP and MySQL. You also get access to software like Joomla and WordPress as part of the most basic hosting package you can opt for. The 24/7 customer support ensures customers are satisfied with the product at all times. There is also a one-month free trial account that you can opt for. All you need is your own domain to make use of this trial account. You will only need to provide your contact details and no payment details are necessary. Just before the end of the trial period, you can provide your payment details and continue using ITPIXEL. It was disappointing to see that their customer support page was broken. The contact page takes you to an online form that you can use to contact them by email. The email addresses and phone numbers of their offices in U.K., U.S., and Pakistan are also listed there. It seems the quickest way to get in touch with them is by phone, as a live chat system doesn’t exist. It can be hard to judge whether ITPIXEL fulfills your requirement because they don’t list hosting packages with exact features, something that is common at many other companies. This doesn’t mean they don’t offer those features. It’s just that you need to get in touch with them to get the best package, which can both be an advantage or a disadvantage depending on your hosting requirements. Check out ITPIXEL’s web hosting options today! Wondering how ITPIXEL stacks up against other Web Hosting companies? Enter any other Web Hosting company and we will give you a side-by-side comparison.